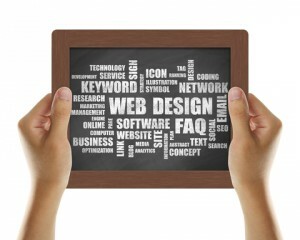 Having a website today is not optional, it is a requirement of business. At one time a website was like a business card or poster, but no longer. Websites have evolved into more than resumes of a business, it is part and parcel of a business’ identity and the business itself. Websites are organic and the best ones change often and engage an audience who keep coming back for more! Most importantly a website can be your best sales person, sales department and customer service representative all rolled into one – without the disadvantages that employees have: sick days, holidays, work hours, hissy fits, personality clashes, office politics, pay raises, benefits, etc. Your website can work for you 7/24. As a business person, you know that people live on their mobile devices, namely smartphones. And those people living on their phones have NO patience for websites that don’t adjust (responsive is the technical term) to the screen size of a smartphone. It is common practice for people to compare prices on their phones before a purchase is made. Wouldn’t you like to have people go to your website for price comparisons, instead of avoiding it because it is too hard to read on a mobile device?! DFC has the experience and technical expertise to make your website into your best Salesperson! Contact Us for more details – be they be pricing, more technical details or you just want to bounce some ideas off of us.